Do you Live near or are in driving distance of Broome, Tioga, Delaware or Chenango Counties in NY? We are currently seeking dedicated individuals who would like to be a part of what we do. We are always accepting new volunteers for K9 Handlers . Training is provided on team, free of charge. Becoming a K9 handler is a lengthy process that can take years to accomplish. K9 handlers are on call for searches 24/7. Equipment and travel expenses can be costly. Dogs- Typically need to be under 3 years old to qualify for training. Due to the physical and mental aspects of training the dogs , most handlers acquire a new dog or puppy specifically for search and rescue. K9 Handlers typically go into the field with one or two flankers . A K9 Flanker provides support for the K9 and Handler when in the field. Duties may include but are not limited to Navigation, carrying gear, first-aid, and looking for clues. 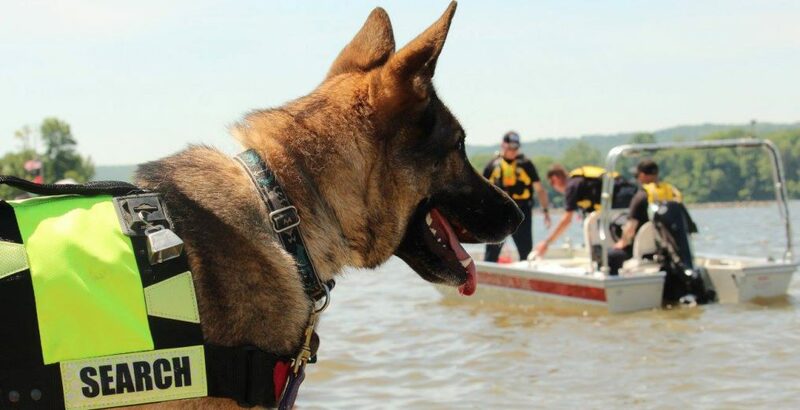 All training is provided for free on team or through the New York State Federation of Search and Rescue. Would you like to help, aren’t interested or physically able to go into the woods? we are currently seeking members to help coordinate trainings and help with events. Preferably, someone with background in coordination and communication or Any job that has involved coordinating several people’s activities in real time. There is no greater feeling then helping to save someone’s life or bring home a missing love one to their family. However, becoming involved in search and rescue and particularly K9 search and rescue is a major commitment. The majority of people who contact us wanting to become involved with search dogs don’t last beyond the first training session once they see what’s involved. For that reason we require all perspective members to observe at least two training sessions prior to filling out the application and deciding to commit to the team. While the team does offset some expenses through fund raising, the majority of the costs associated with transportation to searches and trainings, obtaining the required equipment, paying conference fees,.. etc all fall to the individual team members. Additionally, team members are required to attend the majority of our biweekly training sessions. If you decide to work a dog, Often you’ll be required to receive your training prior to getting a dog for SAR. 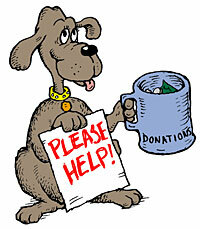 Typically you will need to get a new puppy specifically for search and rescue rather then using an older pet dog. With dog training you will be expected to train on your own in between the bi weekly training sessions. Our female shepherd is 11 months old. Now training for the AKC good citizen. wondering if she would be a good SAR dog. Very curious her nose always to the ground. Hi! I would like to find out about joining. Currently I do not have a dog, but thinking of one in the near future, but I would like to volunteer my services in the photography/video/communications aspect of things. I have More than 30 years in the business was a handler/trainer for a while! Love to get back in the thick of things! I am very interested in your program. I currently have a 13 month old GSD male, very active very sensitive nose. Please provide me with information on where and when the training sessions are so that I can observe. The reply does not indicate a date for the 5:30 session at the Legion in Harpursville.